Do you need an energy-efficient cooling option for your Long Island, NY home or business? Then consider variable refrigerant volume (VRV) air conditioning system from T.F. O’Brien. 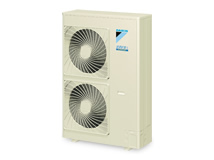 Our Daikin VRV systems circulate only the minimum amount of refrigerant needed at any one time and enable individual climate control of air conditioning zones. Variable refrigerant volume air conditioning is a technology that minimizes efficiency losses that are found in conventional systems, and is engineered to minimize or eliminate the need for ductwork. Because the VRV air conditioning system is energy efficient and simpler to design, install and maintain, it can save Long Island, NY commercial and residential customers on energy and provide sustainable energy benefits. Trust T.F. O’Brien when you need air conditioning services for your Long Island, NY home or business. T.F. O’Brien Cooling & Heating works to provide the people of Long Island, NY with the best air conditioning system available. 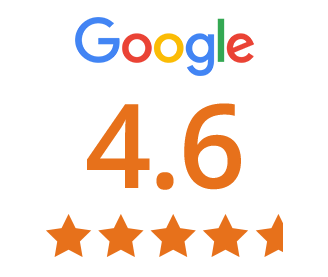 Customer satisfaction is our top priority, and we proudly stand behind our workmanship and our air conditioning products. It is our goal to make you happy, and we’re not satisfied until you are. We guarantee that you, the customer, after purchasing our products and services will be 100 percent satisfied – in fact, you won’t pay until you are. Don’t suffer through another sweltering summer – choose the professionals at T.F. O’Brien Cooling & Heating to help with all of your air conditioning needs. T.F. O’Brien proudly serves all of Long Island, including Nassau County, Suffolk County, and Brooklyn. When you need an air conditioning contractor for your Long Island, NY home, T.F. O’Brien is ready to assist you. Simply call us at 516.488.1800 and one of our friendly representatives will be more than happy to help you. T.F. O’Brien is ready to help you with all the VRV air conditioning services you may need for your Long Island, NY home or business.